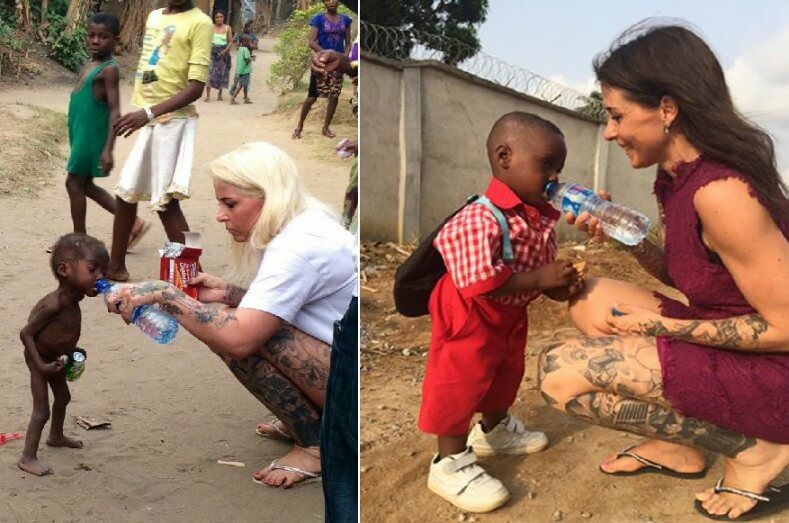 This is a picture of Hope, a little Nigerian boy, who had been thrown out from his community and left to die because they suspected him to be a “witch child.” Hope was rescued, quite literally, when Danish social worker Anja Ringgren Lovén found and rehabilitated him last year. 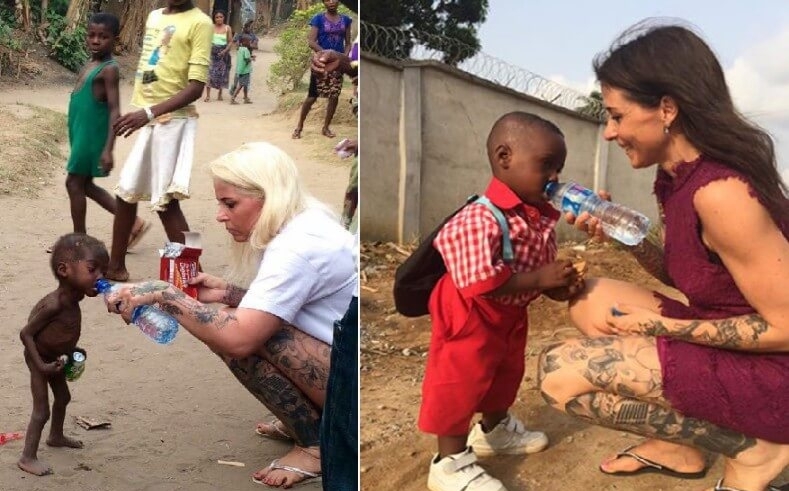 A picture of Ms. Lovén giving water to Hope had gone viral on the internet last year. 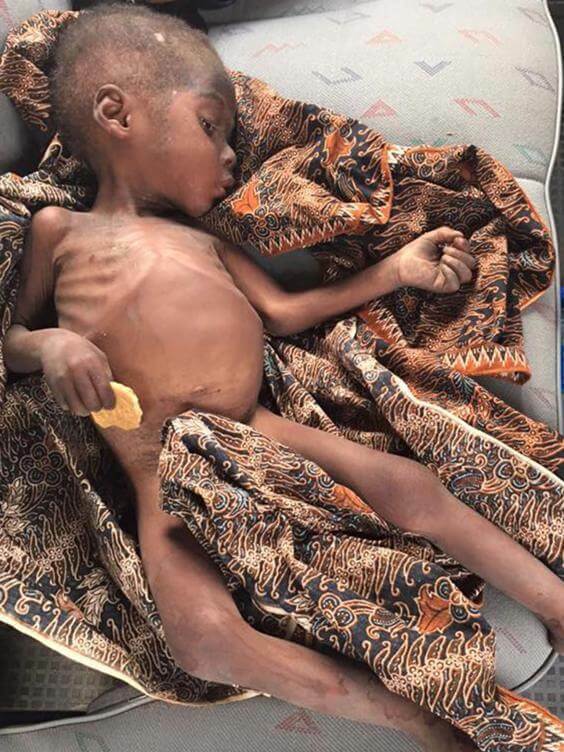 The social worker has now shared photos on her social media showing how healthy Hope has become in just a year. The little child has already begun school this week. The little kid was a victim of superstition which is still prevalent in societies across the world including India. 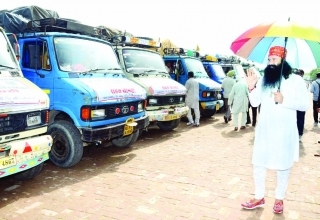 Back home, this menace has been fought tooth and nail across our country by dedicated volunteers of the Sirsa-based Dera Sacha Sauda under the guidance of Saint Dr. Gurmeet Ram Rahim Singh Ji Insan. A similar story on a bigger scale happened in the Kotda and Jharol areas of Udaipur in Rajasthan. 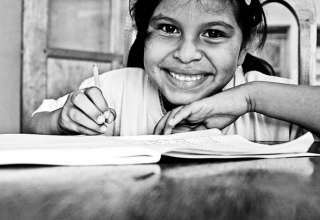 The aboriginal tribes there lived in a state of utter backwardness where evils like addiction, illicit relationships and robberies were common. In fact, the villages even had a “witch doctor” who was preferred over normal medical alternatives. 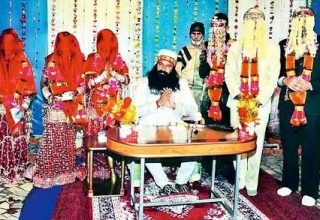 All of this changed when the Shah Satnam Ji Green S Welfare force started working in this area. 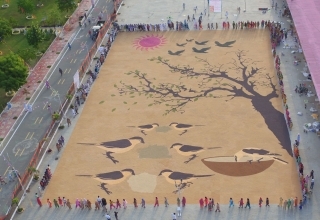 Under the guidance of Guru ji, 750 volunteers stayed there for over 6 months trying to rehabilitate the tribals. Guruji exhorted the adivasis there to give up their old ways and become a part of mainstream society. This powerful message resonated across each and every person and about 80% improvement was seen almost immediately. The villagers are now living harmoniously devoid of sin and robbery and murder rates have dropped drastically. This success story of bringing adivasis back to civilization was also showcased in the blockbuster movie MSG 2: The Messenger. Here’s a salute to these noble people of God who are working tireless everyday to make our world a better place for everyone.